Our team has over 15 years experience collecting and processing geophysical data for munitions response projects. We are an ISO 17025 accredited laboratory under the DoD Advanced Geophysical Classification Accreditation Program (DAGCAP). Our goal is to provide clients with industry-leading geophysical data acquisition and processing services. Our services are based on innovative hardware and software technologies that have proven their success in a range of conditions. Hand-held form factor: The MPV can be deployed at sites where terrain and vegetation preclude the use of heavier, cart-based systems. The smaller sensor head of the MPV (relative to the TEMTADS 2x2 and MetalMapper) can access areas inaccessible to cart and vehicle mounted systems. The MPV is also useful at sites where minimal environmental impact is required. Multi-static, multi-component geometry: The MPV's five receiver cubes record three orthogonal components of the induced magnetic field. For cued data, detachable transmitter coils provide additional illumination of targets. This multi-static geometry greatly improves target localization and characterization relative to single transmitter, mono-static instruments. Time channels measured over a wide range (up to 25 ms) provide additional information for target identification and scrap rejection. High resolution dynamic data: The MPV's 8-cm receiver coils allow localization of individual anomalies that cannot be resolved with larger receivers (e.g., EM61) that “smear out” secondary fields. Soil rejection: The geometric arrangement of receivers and the wide-band time range allows us to identify and remove the effects of magnetic soils. Please email us at info@btgeophysics.com to learn more about the MPV. We are always happy to partner with other companies to collect and process MPV data. 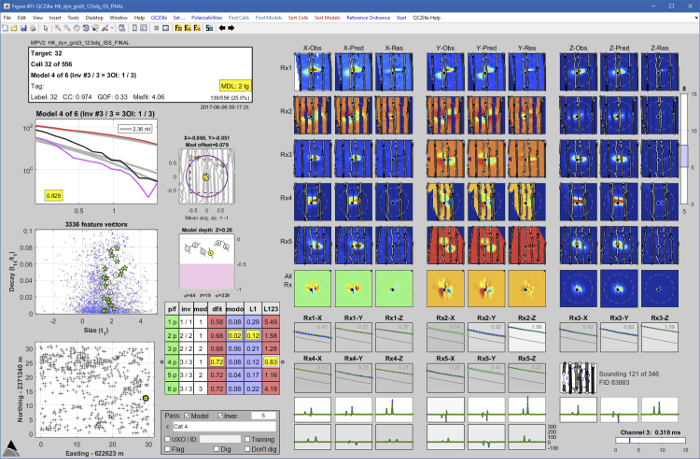 Our processing is carried out using UXOLab, our in-house software for classification. UXOLab has been validated for use under the DoD Advanced Geophysical Classification Program (DAGCAP). 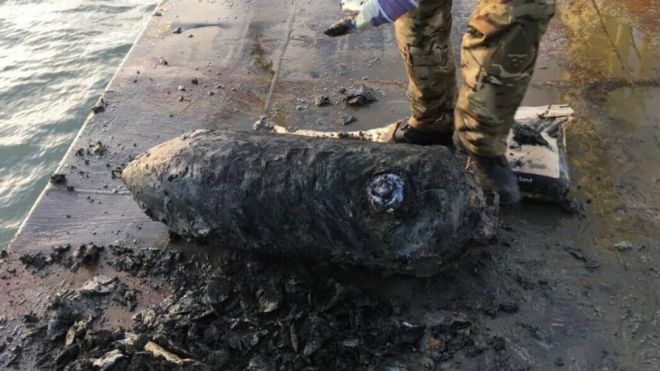 BTField is software for real-time detection and classification of unexploded ordnance. 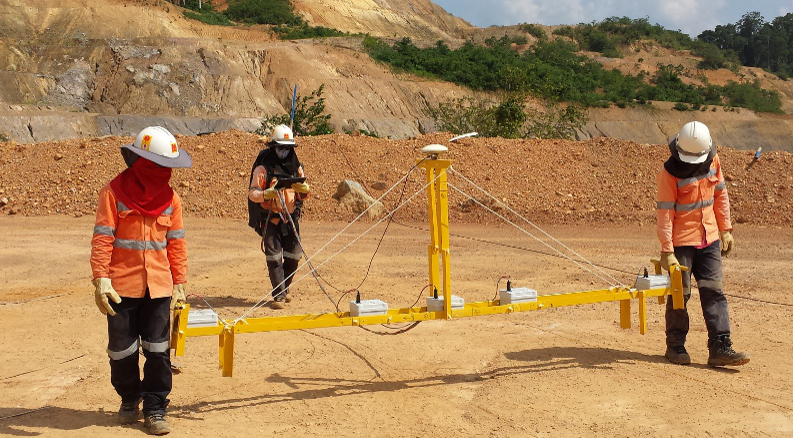 It has been designed to meet the needs of both data collection crews and geophysicists by allowing processing and inversions to run as data is being collected. It is a 64-bit, networkable solution that can be flexibly configured to consume sensor data from multiple COM and/or TCP streams. Multiple users can establish a connection to the BTField SQL Server database and work in either a real-time acquisition and processing mode, or in a post-processing mode. The SQL Server database is highly scalable, allowing for the attachment of multiple storage drives to hold significant volumes of geophysical data that can be queried and re-processed with different settings if desired. BTField has been successfully deployed for real-time acquisition and processing of terrestrial and marine geophysical data. 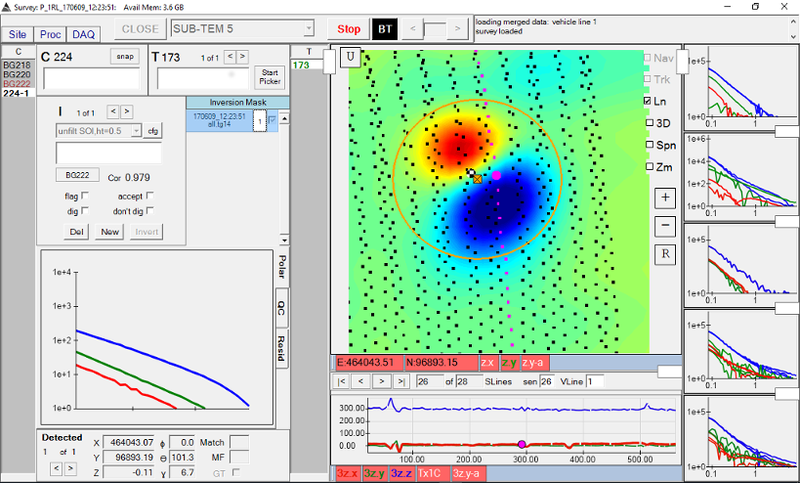 Please enquire at info@btgeophysics.com for more information regarding BTField capabilities, customization, or licensing. BTG, together with our strategic partner Gap EOD, is pleased to offer the multi-component, multi-sensor UltraTEM system for the North American market. This customizable pulse-induction array allows for ultra-high definition digital mapping with high efficiency. The UltraTEM system can distinguish closely spaced individual targets and provides accurate estimates of object position and depth. The UltraTEM system can be deployed in a moving loop configuration that focuses on rapid and efficient large-area searches. Real-time visualization of detection data is provided through Black Tusk's BTField acquisition platform. A Real-Time-Kinematic Global Positioning System (RTK-GPS) and Attitude Heading and Reference Sensor (AHRS) for position and orientation of the sensor frame. The UltraTEM can be configured of single-sensor or multiple-sensor arrays that may be hand-carried, pushed on a cart, or towed. Because the geometry of the UltraTEM is not fixed, the system can be deployed in a configuration optimised for the particular detection problem being addressed. For more information on how the UltraTEM can help with your detection problem, please contact info@btgeophysics.com. Black Tusk has developed and applied proprietary processing algorithms for classification of deeply buried (> 5 m) unexploded ordnance. We use multi-component, time-domain electromagnetic data acquired in boreholes to characterize buried targets. Our algorithms recover estimates of intrinsic dipole polarizabilities that allow us to distinguish between intact ordance and large fragments or cultural debris. Our methods can deal with electromagnetic responses in complex urban environments (e.g. near railway lines or building foundations). 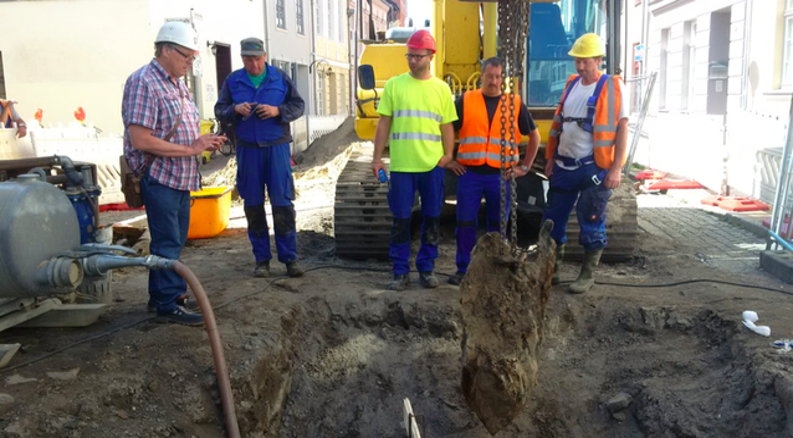 We have successfully identified World War Two era unexploded ordnance with this techonology. We have also saved our clients excavation costs by using intrinsic target properties to classify metallic clutter that cannot be ruled out with other geophysical methods (e.g. magnetics, ground penetrating radar). Please enquire at info@btgeophysics.com for more information regarding our borehole classification capabilities and services. Black Tusk Geophysics has developed workflows for detection and advanced classification of unexploded ordnance in the marine environment. Our marine processing relies on BTField for real-time acquisition, visualization and processing of electromagnetic data. We have extensive experience dealing with these challenges and have worked on time-critical commercial projects to clear harbours and near shore waters. Our classification processing has dramatically reduced the number of targets investigated on these projects and identified intact ordnance that could be missed with conventional marine detection surveys. Please enquire at info@btgeophysics.com for more information regarding our marine classification capabilities and services.